Once again the year has flown by. It’s almost 12 months since we headed off travelling to SriLanka, Oman, UK and North America. We’re both looking forward to arriving back in Saigon, to see our friends. 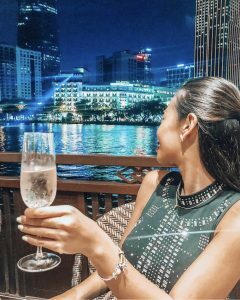 As per usual there are some excellent dining opportunities available to celebrate both Christmas and New Year in Ho Chi Minh City. 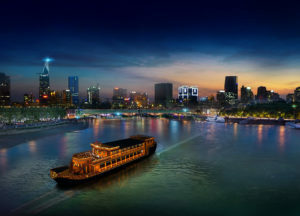 From what I can see, it looks like our favourite river cruise, The Bonsai Legacy, has one of the best value options for both celebrating on Christmas and New Year’s Eves. So if you want to do something special to celebrate with family, friends and loved ones then take a look at the details below. BONUS: Quote the code: LOYAL10 when you book and receive a 10% discount on the total price. 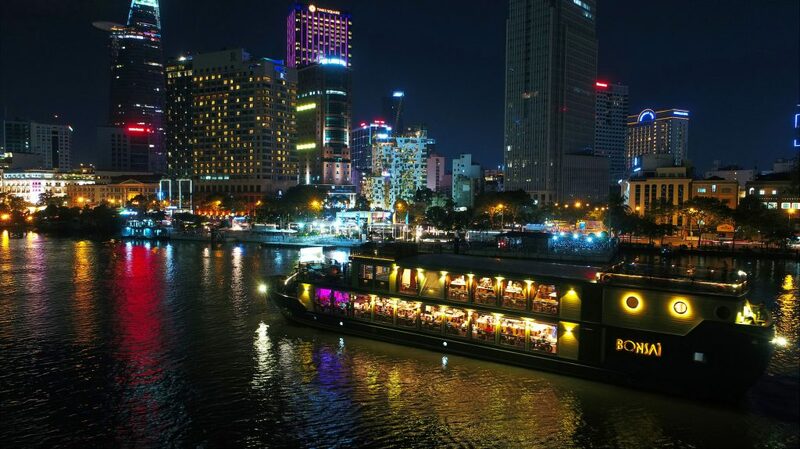 There’s no better way to enjoy the Ho Chi Minh Skyline than from the comfort of Bonsai Legacy’s Gourmet dinner cruise on the Saigon River. Photo courtesy of Bonsai cruises. Christmas is certainly a magical time, and Bonsai Legacy captures this magic with a special menu filled with the bounty of the season – fresh oysters from Nha Trang, chestnuts, live carving stations and a perfectly chilled wine! And of course, children on board will be a central part of the magic with us! Enjoy a sumptuous Christmas buffet with homemade Christmas desserts & Christmas spirit on board. Don’t forget to quote the code: LOYAL10 when you book and receive a 10% discount on the total price of your booking. On New Year’s Eve Bonsai are creating a light show spectacle to welcome the New Year in style! New Year’s Eve Cruises are the most sought after events in their calendar, and it’s no wonder. Starting with a sophisticated and magical cocktail and canapés reception, the night only gets better with a sumptuous gourmet feast, followed by a DJ and light show countdown to welcome the New Year. Ho Chi Minh City is gorgeous on any evening but New Year’s Eve is simply magical. 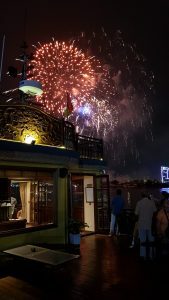 The New Year’s Eve cruise will take place aboard the stunning Bonsai Legacy, a large and spacious traditional wooden dragon boat. This multileveled boat has three decks plus as a sky deck. Custom LED lighting, and state-of-the-art sound systems are installed throughout the entire vessel. Their New Year’s Eve cruise comes with a live DJ on-board mixing and spinning your favourite tracks of the year, along with two house bands to entertain throughout the night. Bust a move to your favourite Top 40, Hip-Hop, Dance, and Pop hits and enjoy a scrumptious dinner buffet on board. Bonsai’s New Year’s Eve cruise will treat you to a delicious gourmet buffet dinner as you sail. Enjoy a variety of dishes and fill up your plate with as much as you like. 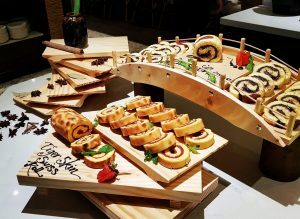 Feast on the all-you-can eat smorgasbord and enjoy free flow drinks from one of their fully stocked bars. They have an open bar for your entire sail. Disclosure: I receive a small commission if you book with the discount code. But, as usual, I’m making the recommendation based on personal experience. Hubby and I have dined on the Bonsai vessels several times, including Christmas 2015. 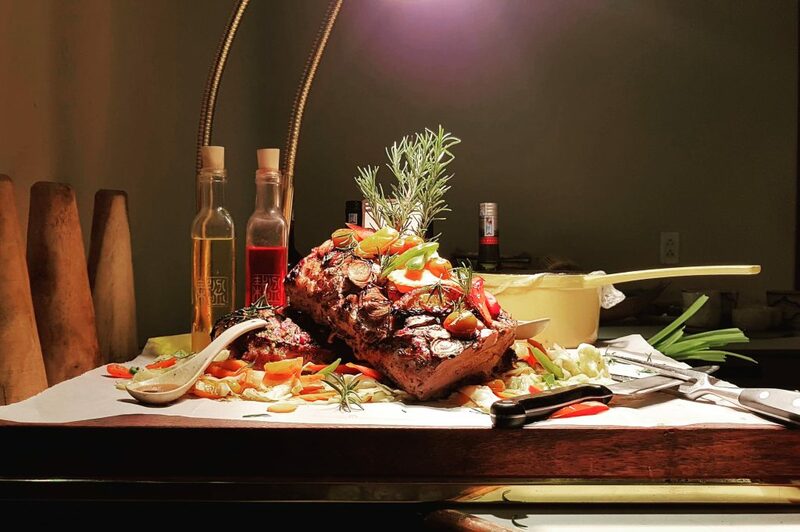 The food, service and entertainment have been exceptional every time.